She had long given up the desire to be loved. Now she only needed to be heard. 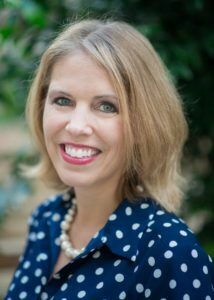 Jaime Nichols went to law school to find the voice she never had as a child, and her determination to protect girls and women in the path of harm drives her in ways both spoken and unspoken. As Jamie, now a criminal defense attorney, prepares to press charges against someone who wronged her long ago, she must face not only her demons but also the unimaginable forces that protect the powerful man who tore her childhood apart. Chandler Bolton, a retired veteran, is tasked with helping a young victim who must testify in court—and along with his therapy dog, Aslan, he’s up for the task. When he first meets Jaime, all brains, beauty, and brashness, he can’t help but be intrigued. As Chandler works to break through the wall Jaime has built around herself, the two of them discover that they may have more to offer one another than they ever could have guessed—and that together, they may be able to help this endangered child. This thrilling installment of the Hidden Justice series explores the healing power of resolution and the weight of words given voice. And as Jaime pursues delayed justice of her own, she unearths eternal truths that will change the course of her life. As an elementary teacher for over a decade, I have a heart for children, especially those that come from difficult homes. In grad school, I remember learning how childhood trauma can have devastating results. 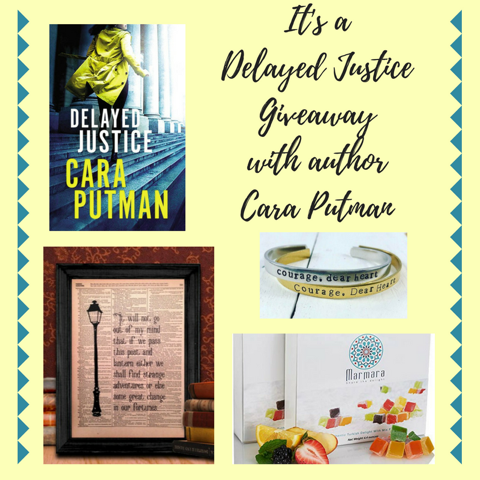 I am so glad that Cara Putman wrote this book! The author deals with this difficult topic in a brilliant manner. She made the trauma painful and very, very real without actually describing any of it. 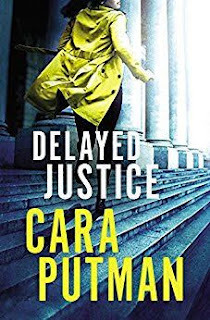 This book is the third novel in the Hidden Justice series, which focuses on female lawyers and their dangerous cases. While I loved the other novels in this series, I loved this one the most so far. It is by far the most personal of the three novels, because the pain is that of the protagonist in this novel, as well as the young girl she tries to help in a similar situation. This is a powerful novel that deals with this painful topic while never resorting to cliché. This book is perfect for readers that love mysteries and novels with great emotional depth. I received a digital copy of this book from the publisher with no obligations. These opinions are entirely my own. 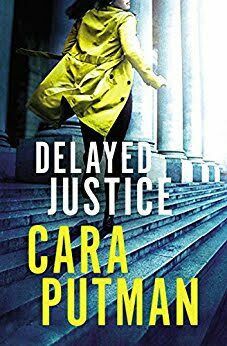 Delayed Justice was a hard story to write. I’d known from Beyond Justice that Jaime had a hard story, but I wasn’t sure exactly what it was. She tried to hide from her past. She tried hard, but in the end it slowly spilled out. A young girl wounded deeply by someone who should protect her. And now as a professional young woman, Jaime is still fighting the shadows. She believes she’s okay, or as okay as she’ll ever be. Instead, she has to learn that there’s so much more waiting for her. Freedom from the chains of a past she didn’t choose. A love that will never end. And a God who has always loved her even when she questions His existence because of her past. I think we’ve all lived that. There’s a place in our hearts that seems beyond His reach. For some of us, it’s a barrier to knowing Him. To others of us, it makes us question what we thought we knew about God. And for others of us, it presses us deeply into Him. Jaime’s book, Delayed Justice, explores this space. The space where some days we scream at the heavens Where are you, God? And the days we just curl into ourselves because life is too hard. And in that space of shadow and light, God ultimately shines brightest. This is a truth that is slowly revealed through friends and The Lion, Witch, and the Wardrobe. Thanks so much for your review. And thank you for being a light in a place that needs it. Knowing you are there for the children in your school is encouraging.